ANRYZE, (symbol RYZ) released on 12th October, 2017 and works separately from a single administration, such as a central bank. You cannot mine the decentralized virtual currency, so in order to acquire RYZ, you must buy through a cryptocurrency exchange. To stay up to date with the latest news from ANRYZE, you can find them on Facebook and Telegram. We don't have any exchanges listed for ANRYZE yet, check back soon! 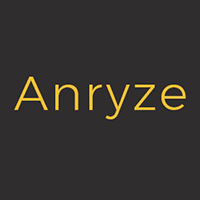 We don't have any wallets listed for ANRYZE yet, check back soon! We don't have any debit cards listed for ANRYZE (RYZ) yet, check back soon! We don't have any price charts listed for ANRYZE yet, check back soon!